The McDonnell Douglas A-4 Skyhawk was a single seat subsonic carrier-capable attack aircraft developed for the United States Navy and United States Marine Corps in the early 1950s. The delta winged, single turbojet engined Skyhawk was designed and produced by Douglas Aircraft Company, and later by McDonnell Douglas. Though very old by the beginning of the Robotech era, it was still in use with the Argentine Air Force, the Israeli Self Defense (IDF) and the Royal New Zealand Air Force (RNZAF) at the time of the SDF-1’s launch ceremony in 2009. 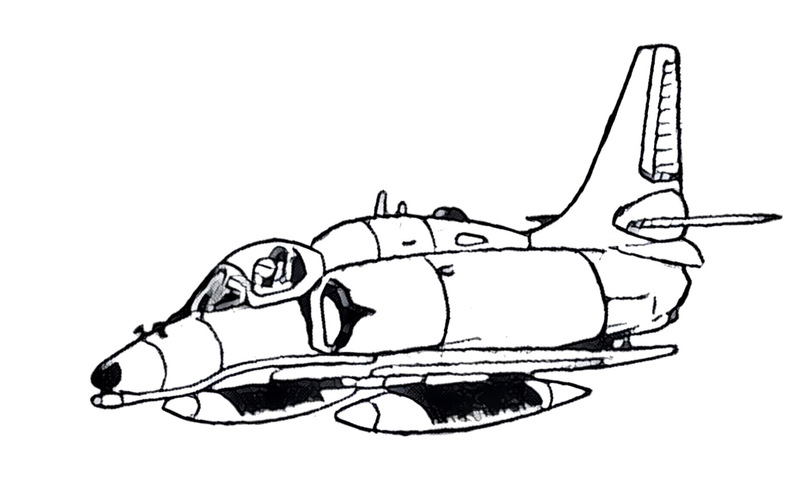 After the end of the war, the A-4 continued to serve in the Argentine Air Force (and later the Merchant Republic), and saw use during the Malcontent Uprisings. The IDF also continued to fly the A-4 for a brief time after the end of the war, but retired the type in 2015. 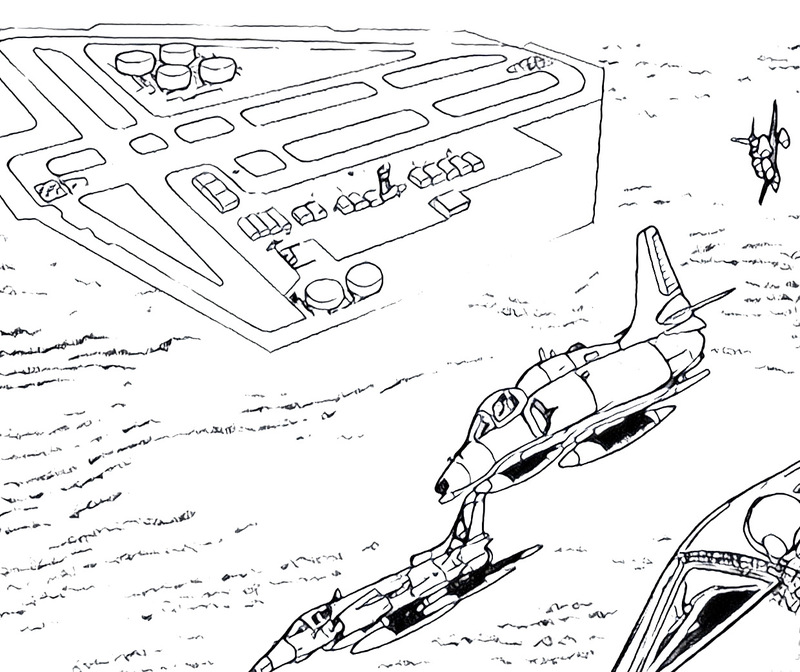 The McDonnell Douglas A-4K+ Kahu was a major upgrade for the A-4 Skyhawk light bomber. In 1986, the Royal New Zealand Air Force initiated this project which included the installation of a Westinghouse AN/APG-66 radar optimized for maritime tracking, HOTAS controls and a ‘glass’ cockpit (2 large CRT screens), MIL-STD 1553B databus; Litton Industries LN-93 inertial navigation system, Ferranti 4510 wide-angle HUD, the Vinten airborne video recording system, the General Instruments ALR-66 radar warning receiver, and a Tracor ALR-39 chaff/flare dispenser. 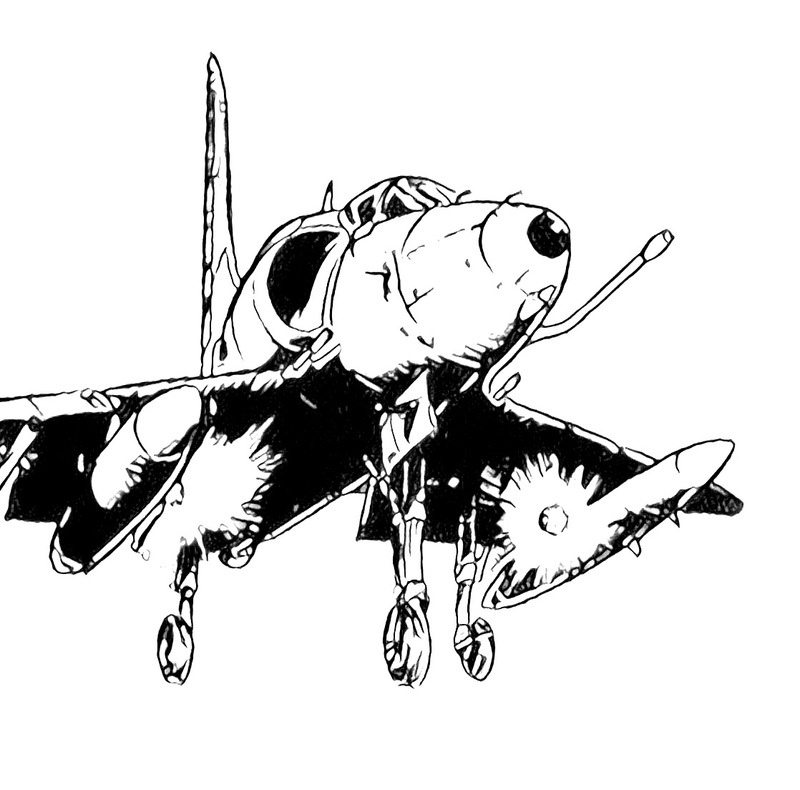 This type served with the RNZAF until the end of the First Robotech War, all examples being destroyed in the closing battle. The IDF operated four variants of the A-4, starting in the sixties with the A-4H. 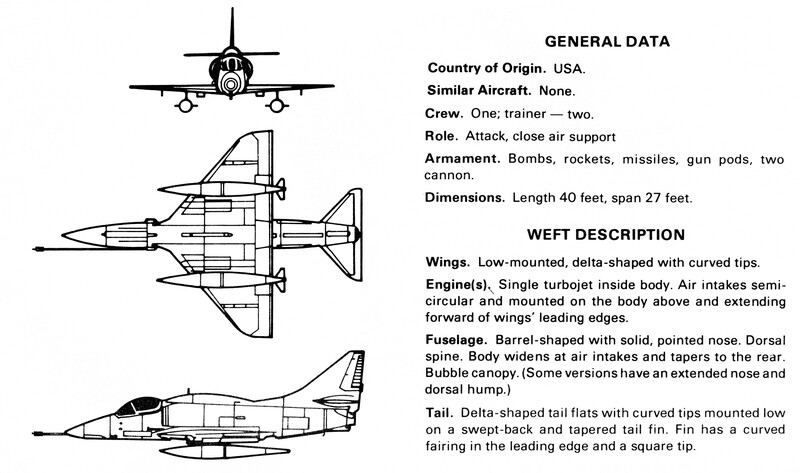 Later variants included the A-4N, and two combat capable trainer variants, the TA-4F and TA-4J. In 2003, Israeli Aerospace Industries (IAI) upgraded all surviving A-4s to A-4I standard (or TA-4I standard in the case of the two-seat variant). Upgrades were limited to an avionics refit, based on the systems in IAI’s Lavi fighter. The A-4I soldiered on in Israeli service until its retirement after the First Robotech War in 2016. The General Dynamics A-4AR Fightinghawk was a major upgrade of the McDonnell Douglas A-4M Skyhawk attack aircraft developed for the Argentine Air Force which entered service in 1998. The program was named Fightinghawk in recognition of the F-16 Fighting Falcon, which was the source of its new avionics. The upgrades included: Complete overhaul of the airframe, wiring looms and the Pratt & Whitney J52P-408A engine, installation of Douglas Escapac 1-G3 ejection seats, HGU-55/P helmets, Westinghouse/Northrop Grumman AN/APG-66V2 (ARG-1) radar, HOTAS controls and a ‘glass’ cockpit (2 CRT color screens), Sextant Avionique/Thales Avionics SHUD, two General Dynamics Information Systems AN/AYK-14 mission computers, Northrop AN/ALR-93 (V)1 Radar warning receiver, AN/ALQ-126B jammer, AN/ALQ-162 jammer, ALR-47 chaff/flare dispenser and IFF AN/APX-72.